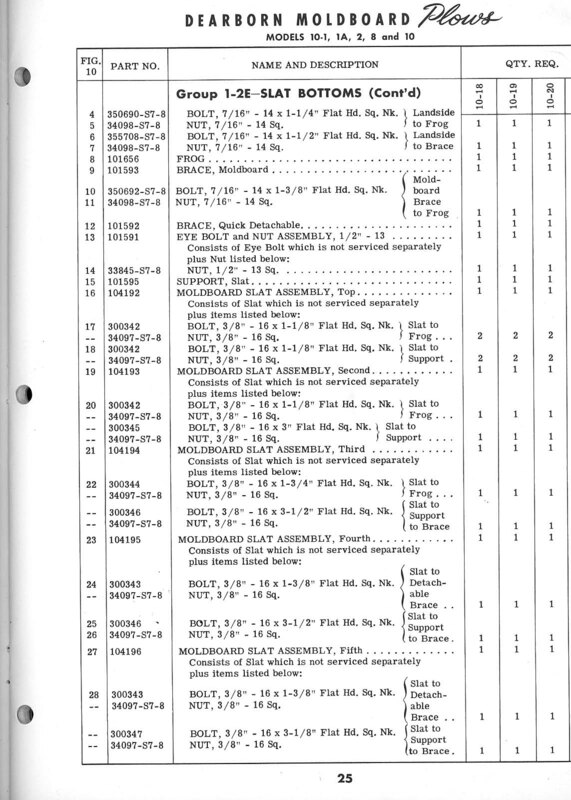 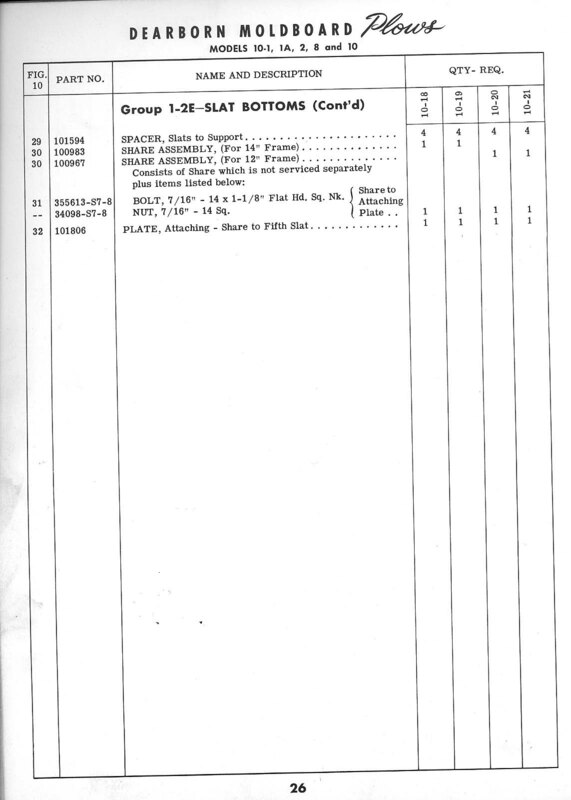 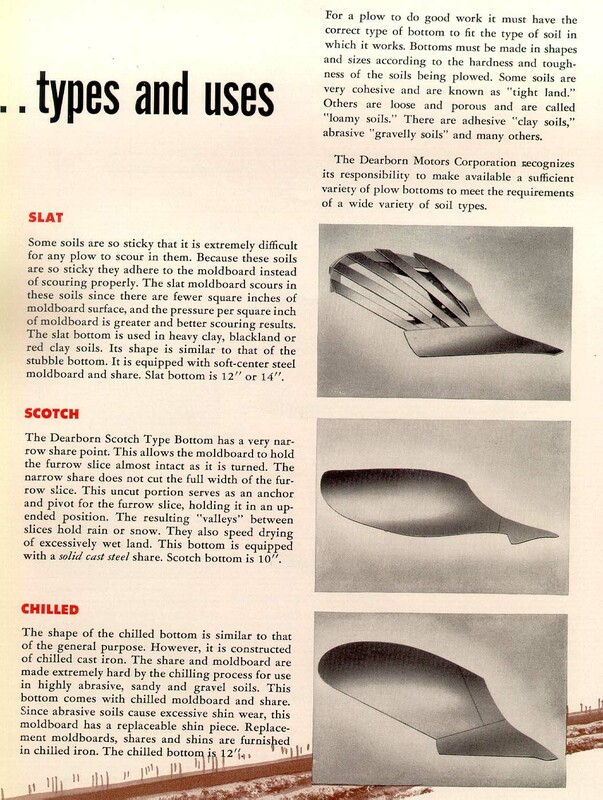 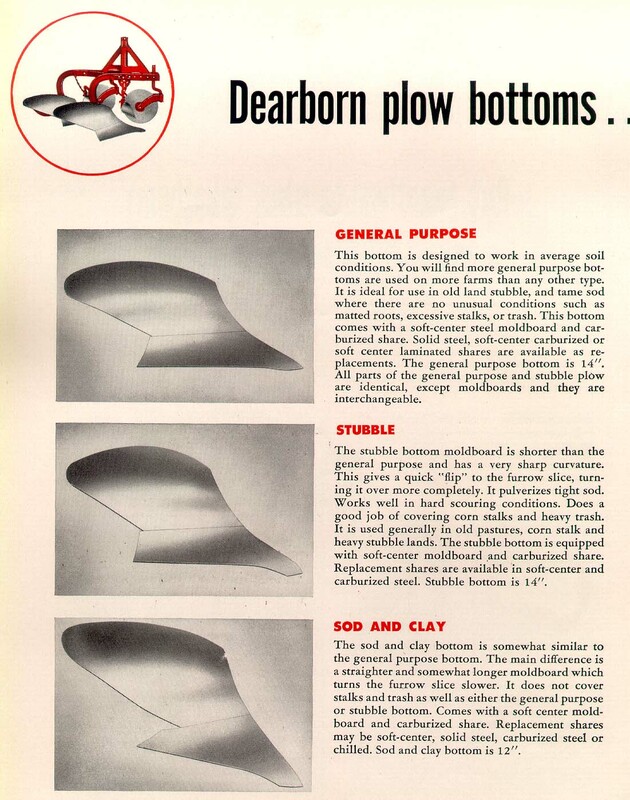 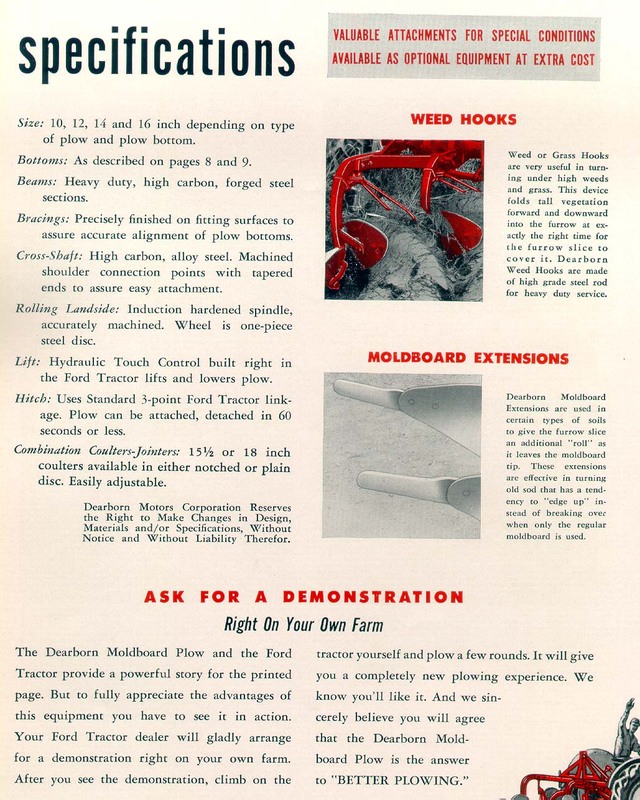 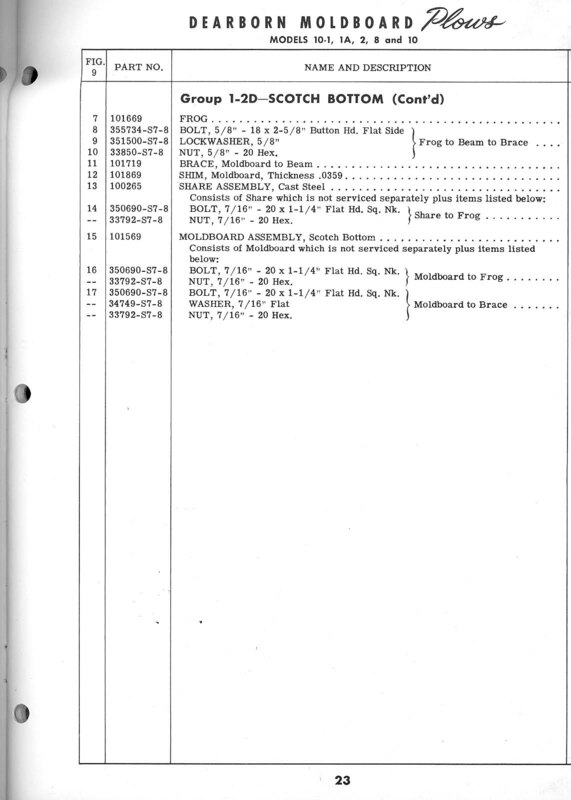 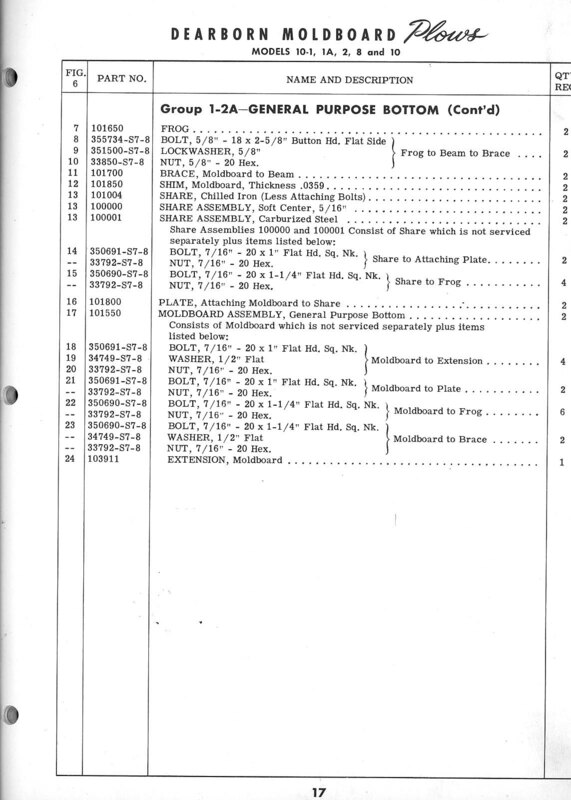 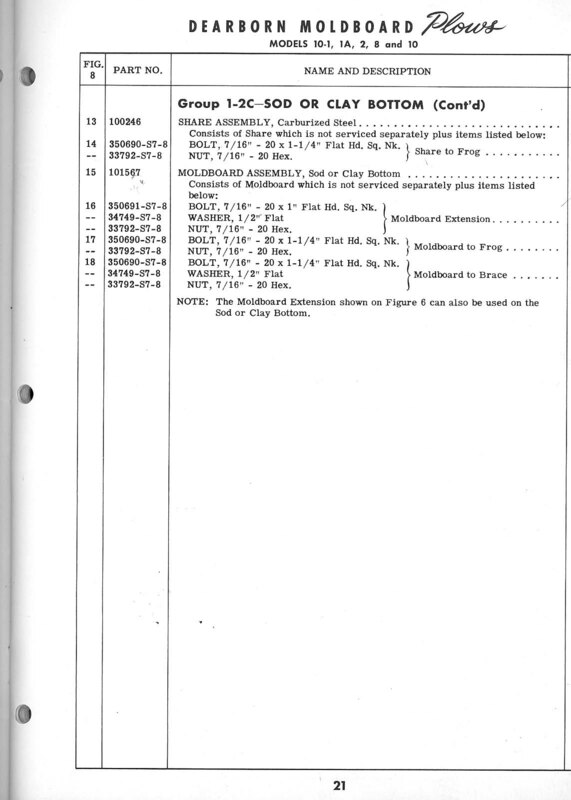 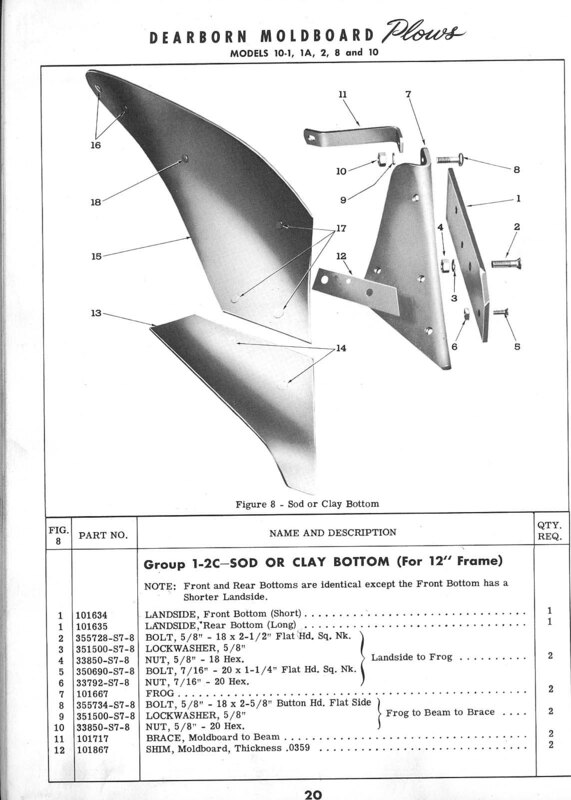 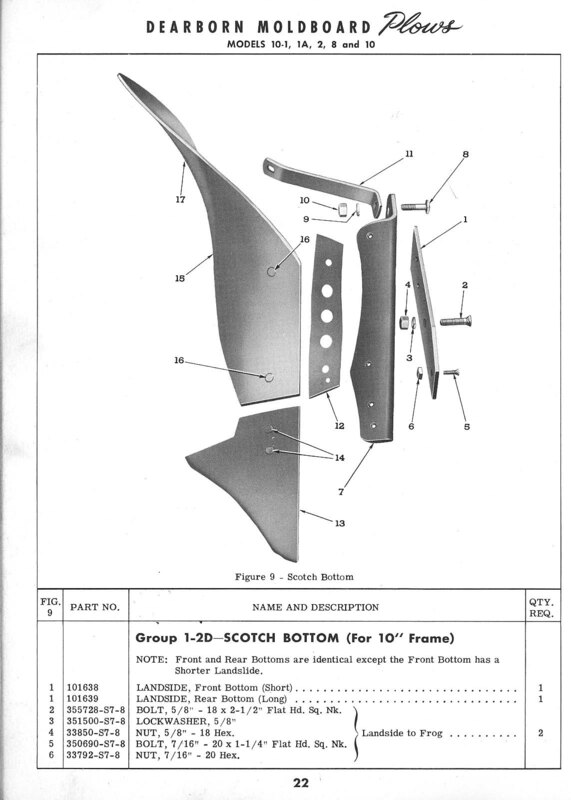 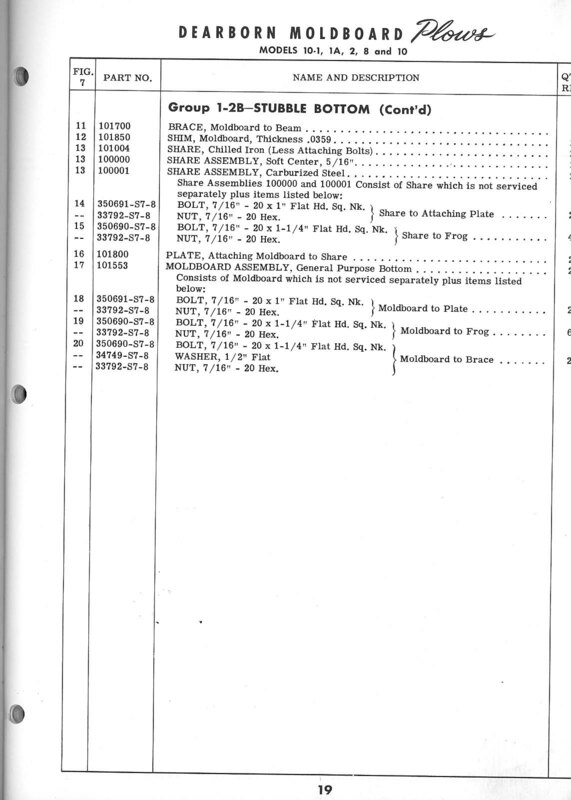 The following info was scanned from a February 1949 dealer parts book for the Model 10-1, 1A, 2, 8 and 10 Moldboard plows. 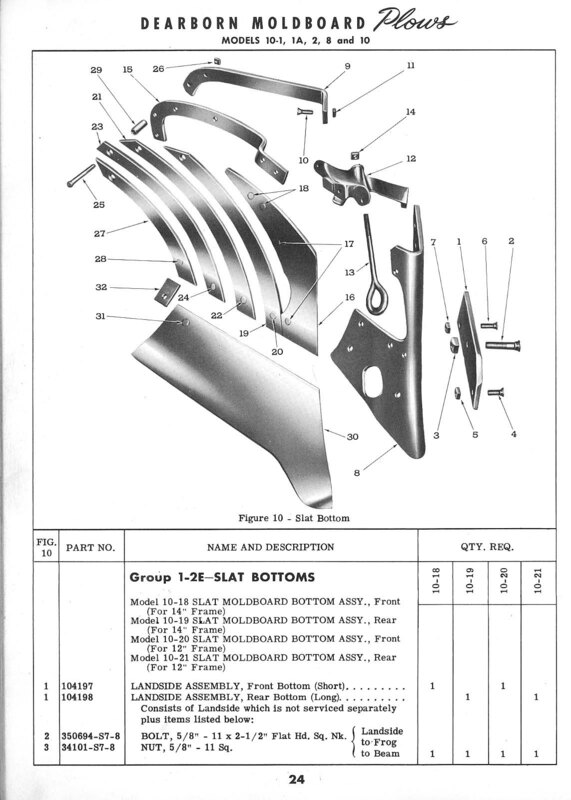 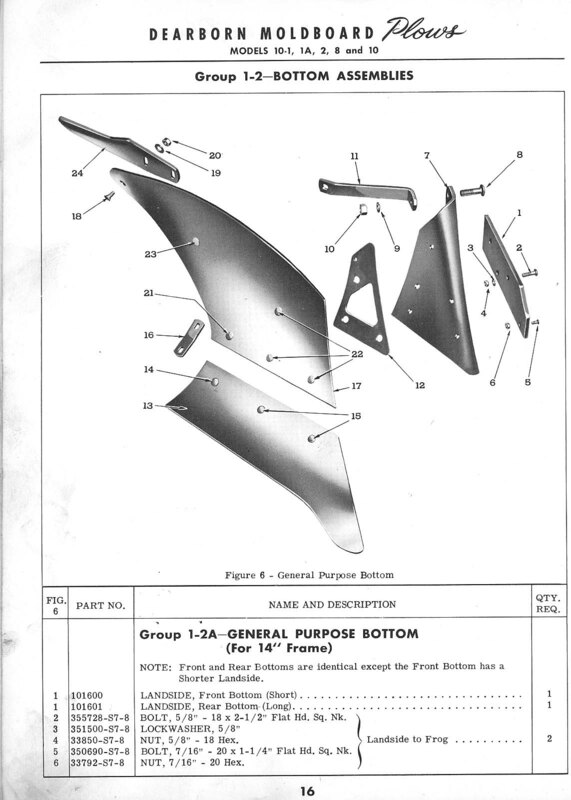 This section only contains parts info on the various bottoms that could be attached to this plow frame. 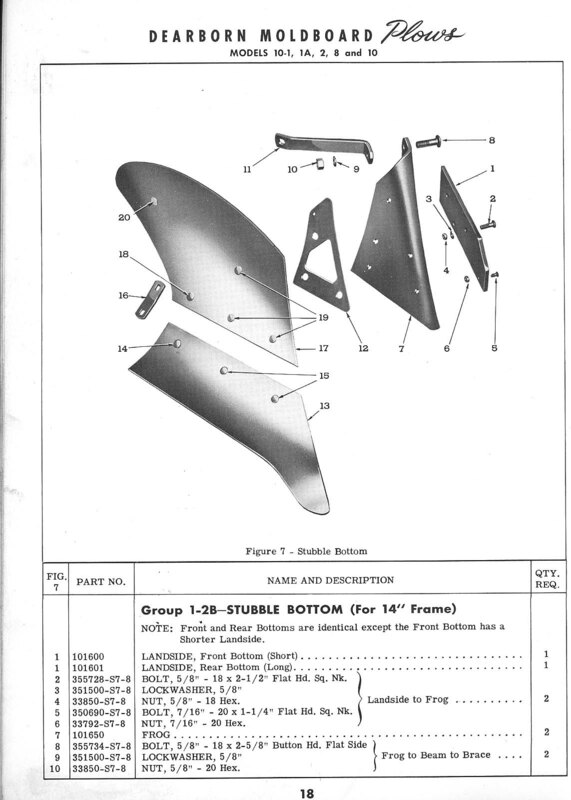 Parts info on the frame and other components are already included with info for the plows that are posted in this library.